I like it when I learn a new word. In the Ukraine only, the word ‘lustration’ means to be unemployable in the civil service any person who worked for the President between 2010 and 2014, and/or worked in the Soviet Communist Party KGB as an agent, spy, informant, saboteur, insurrectionist or ethnocrat. My heart goes out to them in a way, especially all those spies on the dole-queue trying to look inconspicuous. Apparently, there was a Ukrainian revolution of sorts, circa 2014, and the voice of the disgruntled horde spoke as one. The new government claimed to have listened, and by enforcing lustration are slowly filling their ranks with fresh faces, driving Soviet-era cronyism and corruption out of Ukrainian politics. 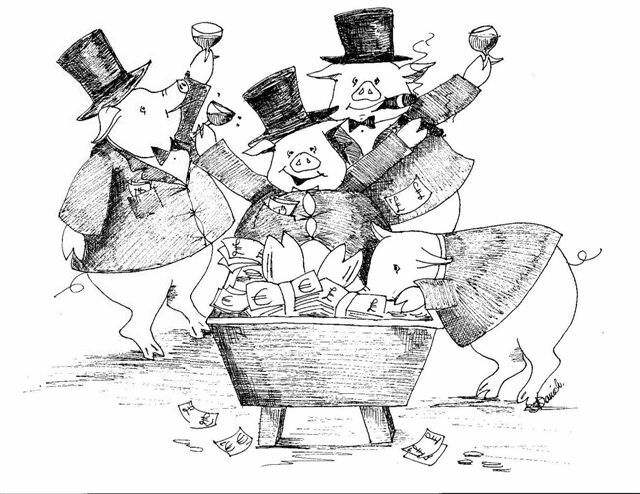 Or at least I think that’s what they’re saying, because it’s hard to make our the finer inflections when they’re snout-down at the trough. Embarrassed by the Panama Papers scandal, what do these post-Soviet kleptocrats do? They bait and switch. The fat-cats have promoted kittens into senior civil service positions as proof of their determination to purge the old Soviet apparatchiks and make way for a new generation of energetic young reformers. 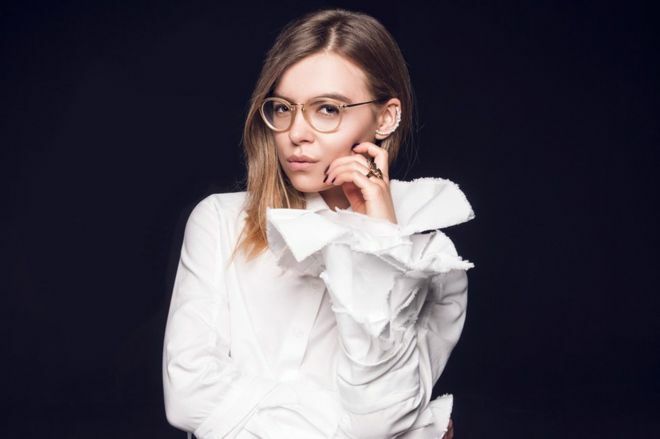 That way nobody will notice as the continue to wheelbarrow stacks of loot into their offshore accounts, because the public will be alternately outraged or engrossed by social-media frenzy swirling around their new Deputy Interior Minister, Anastasia Deyeva, 23. Or the chief of Customs, Yulia Marushevska, 27. 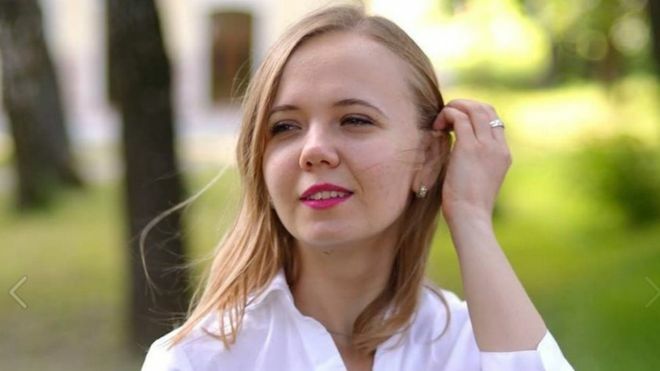 Or the head of the Justice Ministry’s anti-corruption department, Anna Kalynchuk, 23. As with all the best magic-tricks, it’s important to watch the hands. Chief among these magicians, the President of the Ukraine, Petro Poroshenko, is a billionaire oligarch who was possible, of anyone of Earth, most exposed in the ‘Panama Papers’ for dodging taxes on a colossal scale. His right-hand man, Finance Minister Oleksandr Danyliuk, must be a true financial genius if he cans somehow survive on the measly $7000 of personal income he declared last year, not helped by the foreign directorships he still maintains (for gratis, it appears). You don’t need to see pics of these gentlemen because we all know what old-school Euro-bloc power looks like. It looks like a rugby player’s knee, or a Russian mobster’s face. And these are the guys hiring the next generation of Ukrainian leaders, on their talent apparently, because it couldn’t possibly be on their demonstrated experience. But perhaps there’s a light at the end of the tunnel for the Ukrains. Not a different light, just another one, blazing savagely bright with the intensity that powerful self-interest brings. Just as we are about to witness a tired old male President of France wearily strapping on his gloves to go three rounds with an energetic female opponent, so it is in the Ukraine. Once more, the future is dressed by Prada. Yulia Timoshenko, a millionaire gas oligarch in her own right, and twice former Prime Minister of Ukraine, has her steely eyed gaze on the ultimate prize. But this is all a good thing, isn’t it? If you believe that ‘better’ = younger, and that ‘even better’ = female, then it makes sense that the best option of all = young female. What does this mean for Australia? 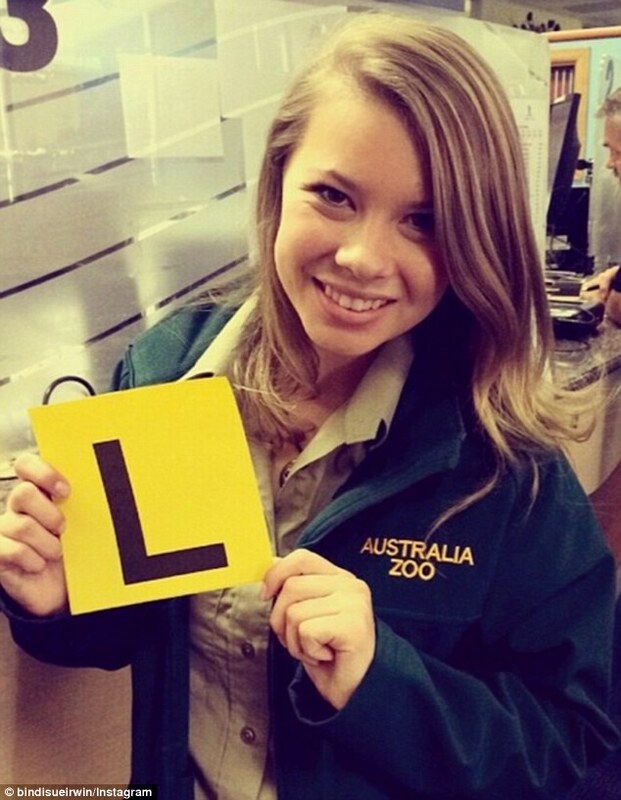 It means, somebody needs to get Bindi Irwin on the phone and see if she’s available in 2019. She knows everything there is to know about crocodiles, ballroom dancing, and what it’s like to grow up entitled. If I were PM Malcolm Turnbull I’d be sweating in me jocks.